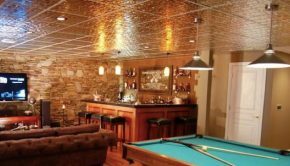 It never fails to amaze us when we turn on HGTV and we see decorative wall panels or ceiling tiles being used to enhance an ordinary space. These inexpensive wall tiles have completely transformed this rather nondescript dining room from drab to fab. Plus, the contractors completed the entire wall in an afternoon for probably not much more than $200.00 $600.00. We are so thrilled to have heard directly from Alice T. Chan who was kind enough to educate us on the product and installation details. THANK YOU, THANK YOU, THANK YOU! As per Ms. Chan’s comment (see below) the actual tiles used are the Chrysalis Wall Flats™ from Inhabit®, a fabulous eco-friendly 100% molded bamboo paper pulp measuring 18″ x 18″ each. One set of 10 tiles covers approximately 22.5 square feet. 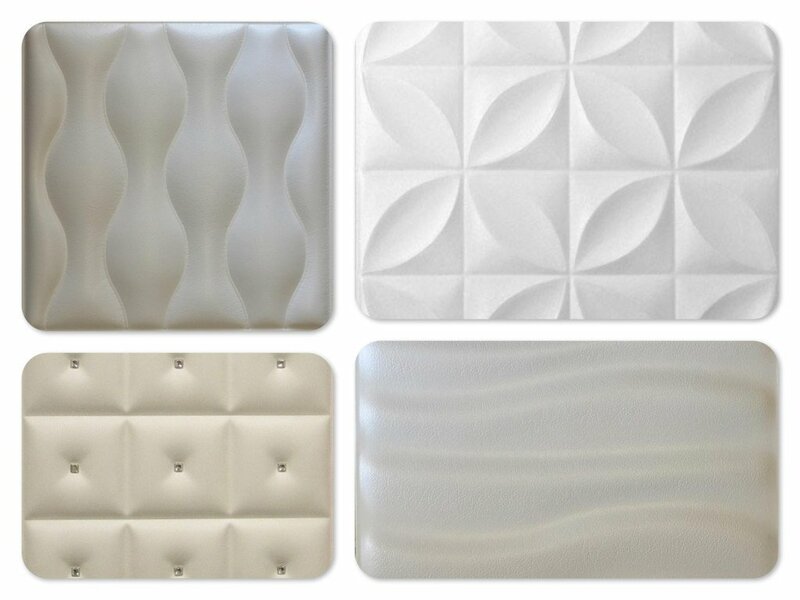 There are also plenty of other Wall Flats™ styles currently available! We particularly like both the Luna and SeeSaw Wall Flats. 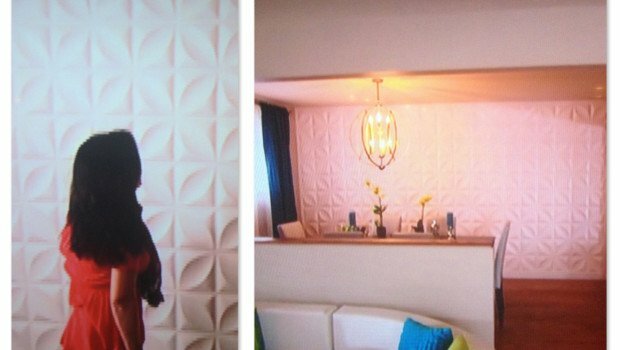 Another option, similar to the tile design used on the show is Decorative Ceiling Tiles 20″x20″ styrofoam wall tile named Perception. The styrofoam tiles may actually be a bit easier to install than even the Wall Flats™ since they are ridiculously light weight, cut easily and leave smooth edges. In our experience, because the seams are smooth (be sure to use a straight edge to cut them) there is not a lot of caulking involved although you may still choose to trim out the wall just to give it a more finished look. If the style of this tile is a bit too modern for your taste, you can achieve a similar look and soften it up by using faux leather tiles. All three types of tiles (Wall Flats™, styrofoam, and faux leather) will give your walls more pop than simply using paint, plus they will help with sound absorption, especially if you are hosting a large dinner party and your guests are engaged in lively conversation. OMG – we are huge fans of yours! Thank you so much for your comment. So often we can only guess what products are being installed on our favorite home improvement shows and so appreciate being informed not only about the products chosen but also about valuable installation tips and cost estimates. Additionally, we want to thank you for the link to the episode. We had searched HGTV for a link but should have thought about looking directly on your site. We have also updated the post to reflect the actual product facts and are no longer relying on sheer supposition. Lastly, thank you for introducing us to Wall Flats™ from Inhabit®. We absolutely love the myriad of designs and the fact that they are so eco-friendly. They may even be our new obsession. Thank you again for taking the time to comment and educate us all. Make it a beautiful day!